The Chart object represents an Excel chart. 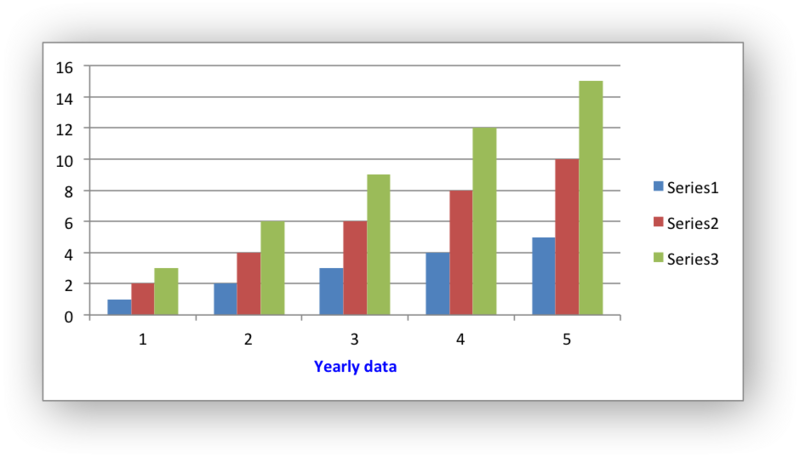 It provides functions for adding data series to the chart and for configuring the chart. // User function to add data to worksheet, not shown here. // In the simplest case we just add some value data series. // The NULL categories will default to 1 to 5 like in Excel. 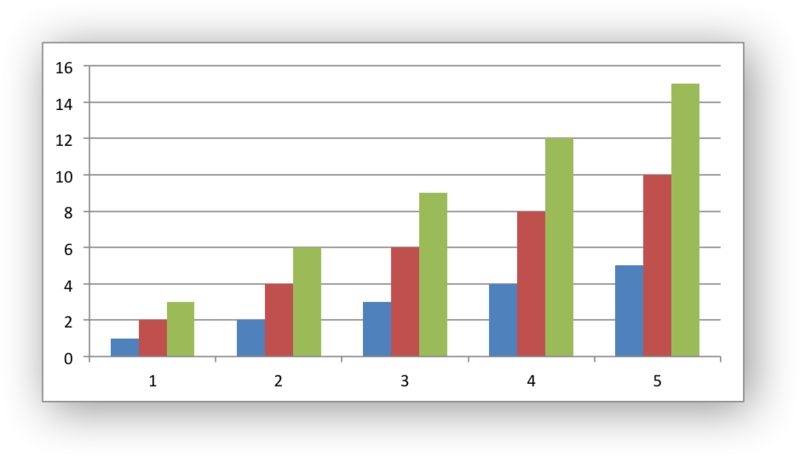 Create the chart with workbook_add_chart(). Add one or more data series to the chart which refers to data in the workbook using chart_add_series(). Configure the chart with the other available functions shown below. 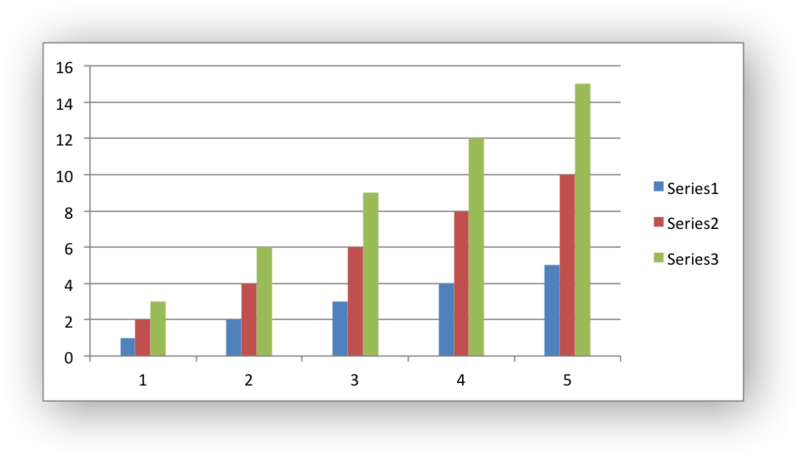 Insert the chart into a worksheet using worksheet_insert_chart(). chart Pointer to a lxw_chart instance to be configured. categories The range of categories in the data series. values The range of values in the data series. In Excel a chart series is a collection of information that defines which data is plotted such as the categories and values. It is also used to define the formatting for the data. // The NULL category will default to 1 to 5 like in Excel. values: This is the most important property of a series and is the only mandatory option for every chart object. 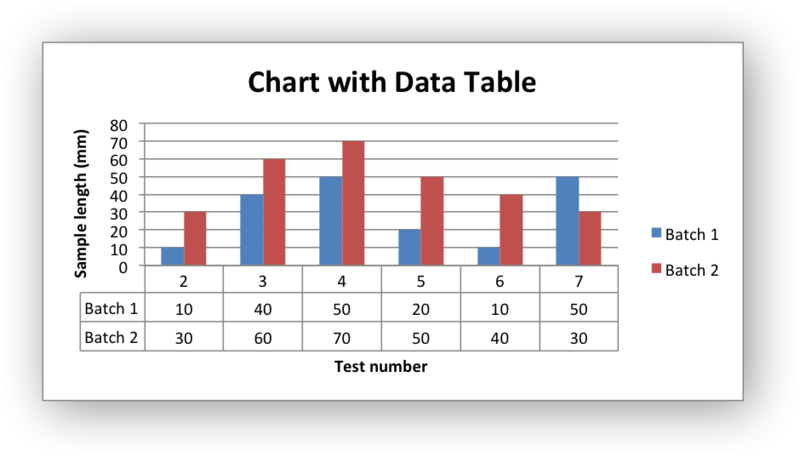 This parameter links the chart with the worksheet data that it displays. // Configure the series using a syntax that is easier to define programmatically. chart_series_set_categories(series, "Sheet1", 1, 0, 6, 0); // "=Sheet1!$A$2:$A$7"
chart_series_set_values( series, "Sheet1", 1, 2, 6, 2); // "=Sheet1!$C$2:$C$7"
As shown in the previous example the return value from chart_add_series() is a lxw_chart_series pointer. This can be used in other functions that configure a series. series A series object created via chart_add_series(). sheetname The name of the worksheet that contains the data range. first_col The first column of the range. last_row The last row of the range. last_col The last col of the range. 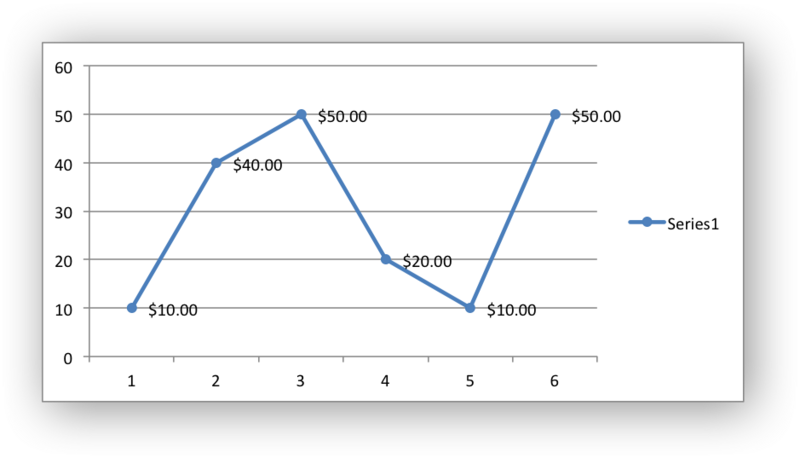 The categories and values of a chart data series are generally set using the chart_add_series() function and Excel range formulas like "=Sheet1!$A$2:$A$7". // Configure the series ranges programmatically. chart_area.c, chart_bar.c, chart_column.c, chart_data_table.c, chart_line.c, chart_radar.c, chart_scatter.c, and chartsheet.c. The chart_series_set_values() function is an alternative method that is easier to generate programmatically. See the documentation for chart_series_set_categories() above. The chart_series_set_name function is used to set the name for a chart data series. 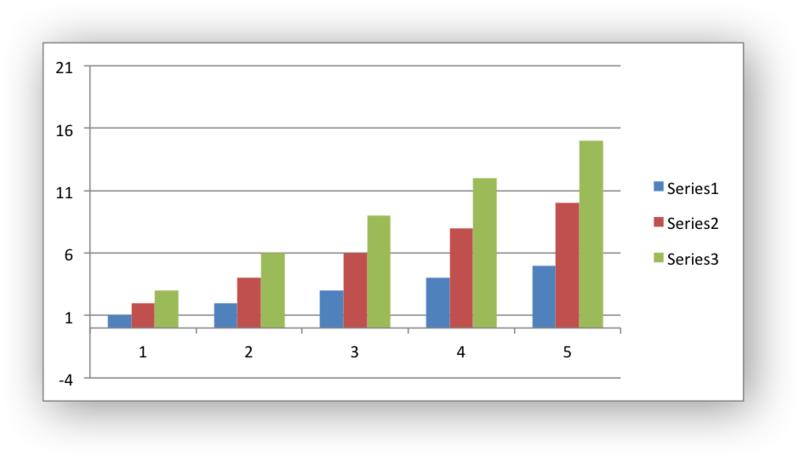 The series name in Excel is displayed in the chart legend and in the formula bar. The name property is optional and if it isn't supplied it will default to Series 1..n.
See also the chart_series_set_name_range() function to see how to set the name formula programmatically. chart_area.c, chart_bar.c, chart_column.c, chart_data_table.c, chart_doughnut.c, chart_line.c, chart_pattern.c, chart_pie.c, chart_radar.c, chart_scatter.c, and chartsheet.c. sheetname The name of the worksheet that contains the cell range. row The zero indexed row number of the range. col The zero indexed column number of the range. chart_series_set_name_range(series, "Sheet1", 0, 2); // "=Sheet1!$C$1"
For more information see Chart formatting: Line. For more information see Chart formatting: Fill. Invert the fill color for negative values. Usually only applicable to column and bar charts. For more information see lxw_chart_pattern_type and Chart formatting: Pattern. type The marker type, see lxw_chart_marker_type. 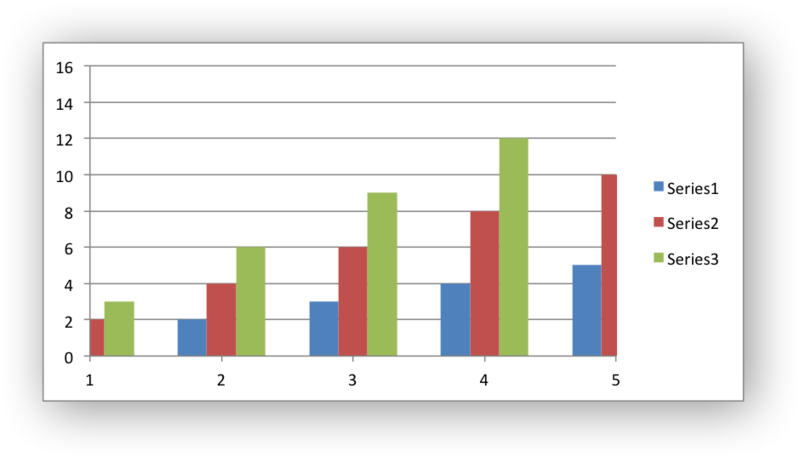 The chart types with MARKERS in the name have markers with default colors and shapes turned on by default but it is possible using the various chart_series_set_marker_xxx() functions below to change these defaults. It is also possible to turn on an off markers. The LXW_CHART_MARKER_AUTOMATIC type is a special case which turns on a marker using the default marker style for the particular series. If automatic is on then other marker properties such as size, line or fill cannot be set. size The size of the marker. See the example and image above and also see Chart formatting: Fill. points An NULL terminated array of lxw_chart_point pointers. 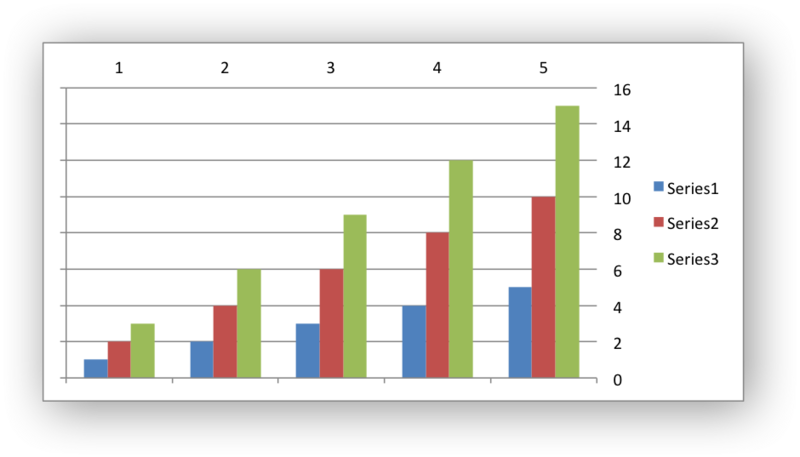 In general formatting is applied to an entire series in a chart. However, it is occasionally required to format individual points in a series. 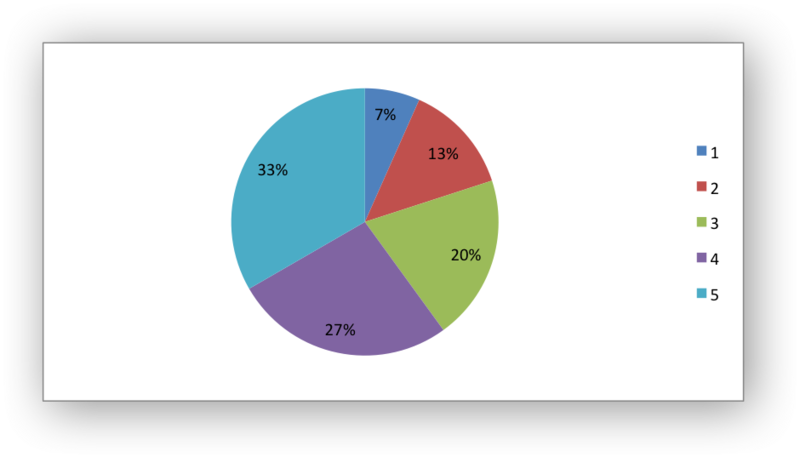 In particular this is required for Pie/Doughnut charts where each segment is represented by a point. 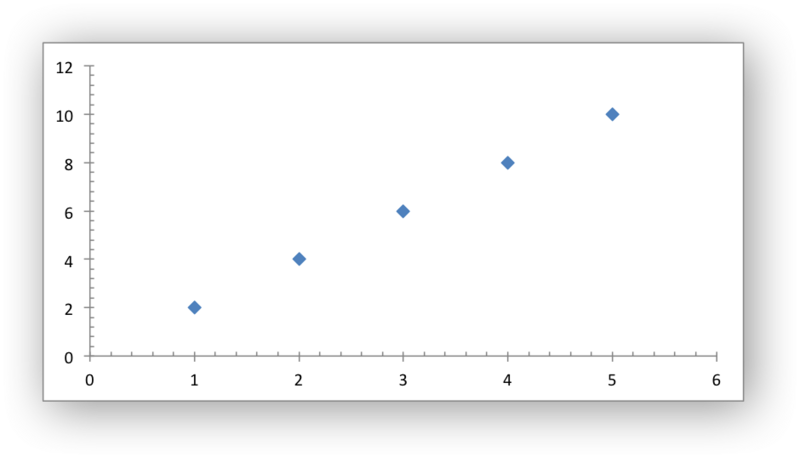 The array of lxw_chart_point pointers should be NULL terminated as shown in the example. The chart_series_set_labels() function is used to turn on data labels for a chart series. 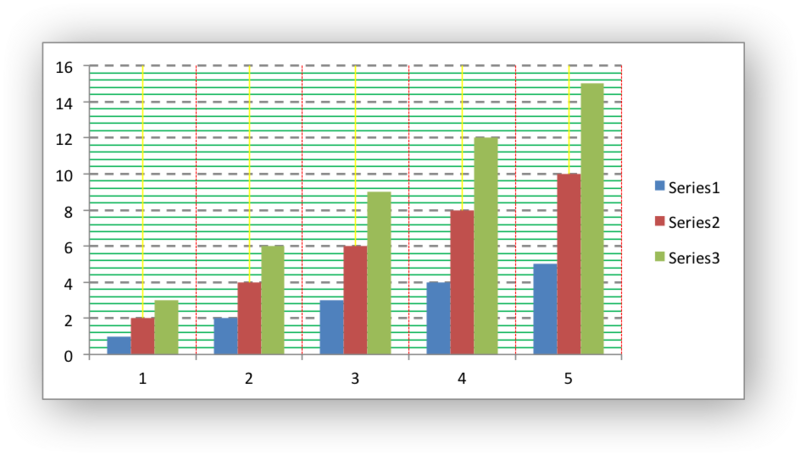 Data labels indicate the values of the plotted data points. However, it is possible to configure other display options, as shown in the functions below. 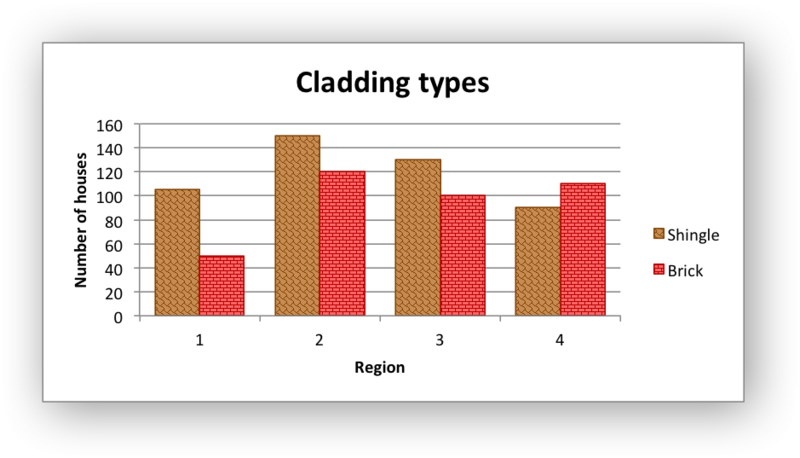 For more information see Working with Chart Data Labels. show_name Turn on/off the series name in the label caption. show_category Turn on/off the category name in the label caption. show_value Turn on/off the value in the label caption. separator The separator for the data label options: lxw_chart_label_separator. The chart_series_set_labels_separator() function is used to change the separator between multiple data label items. The default options is a comma separator as shown in the previous example. LXW_CHART_LABEL_SEPARATOR_PERIOD: a period (dot) separator. position The data label position: lxw_chart_label_position. Even when leader lines are turned on they aren't automatically visible in Excel or XlsxWriter. Due to an Excel limitation (or design) leader lines only appear if the data label is moved manually or if the data labels are very close and need to be adjusted automatically. num_format The number format string. The number format is similar to the Worksheet Cell Format num_format, see format_set_num_format(). font A pointer to a chart lxw_chart_font font struct. 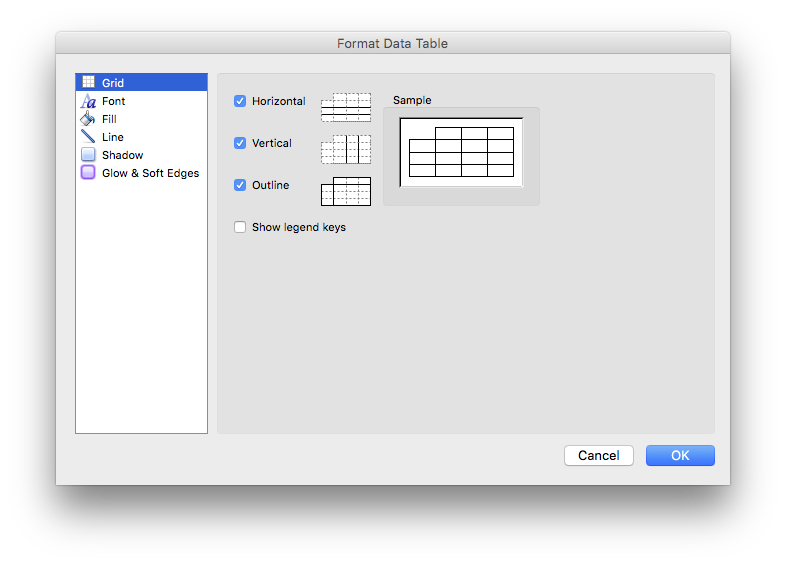 For more information see Chart formatting: Fonts and Working with Chart Data Labels. 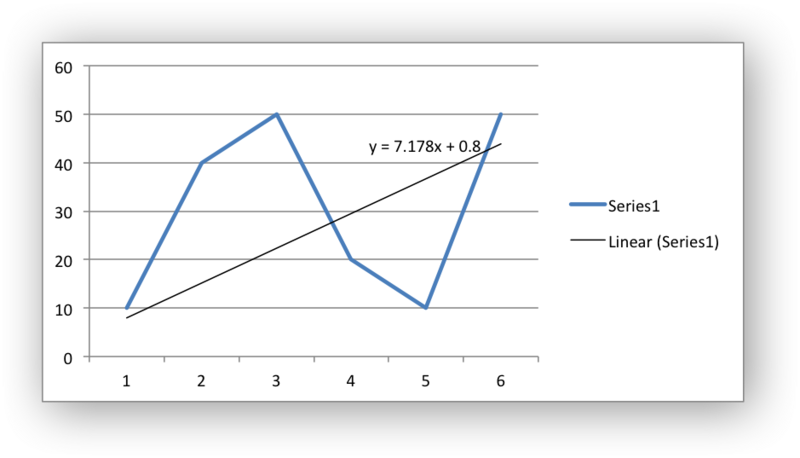 type The type of trendline: lxw_chart_trendline_type. value The order/period value for polynomial and moving average trendlines. LXW_CHART_TRENDLINE_TYPE_POLY: Polynomial trendline. The value parameter corresponds to order. LXW_CHART_TRENDLINE_TYPE_AVERAGE: Moving Average trendline. The value parameter corresponds to period. 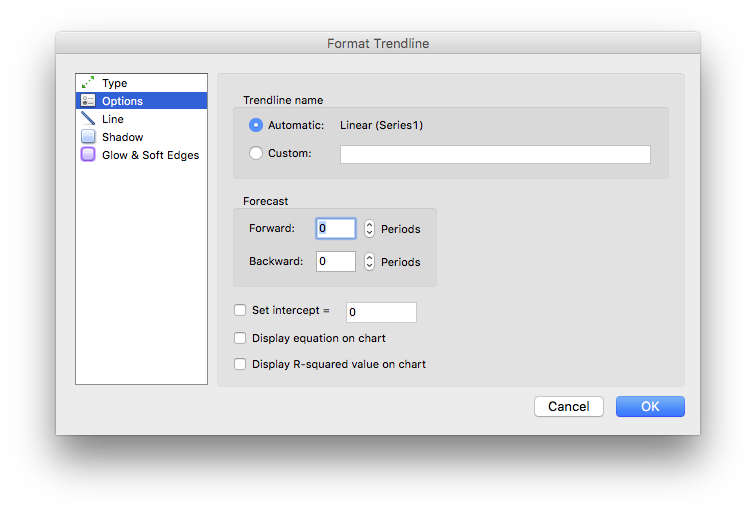 Other trendline options, such as those shown in the following Excel dialog, can be set using the functions below. For more information see Working with Chart Trendlines. This feature isn't available for Moving Average in Excel. As can be seen from the equation on the chart the intercept point (when X=0) is the same as the value set in the equation. The intercept feature is only available in Excel for Exponential, Linear and Polynomial trendline types. name The name of the trendline to display in the legend. // Delete the series name for the second series (=1 in zero base). // The -1 value indicates the end of the array of values. For more information see Working with Chart Trendlines and Chart formatting: Line. axis_type The axis type (X or Y): lxw_chart_error_bar_axis. // Use the error bar pointers. // Equivalent to the above example, without function calls. Pointer to the series error bars, or NULL if not found. 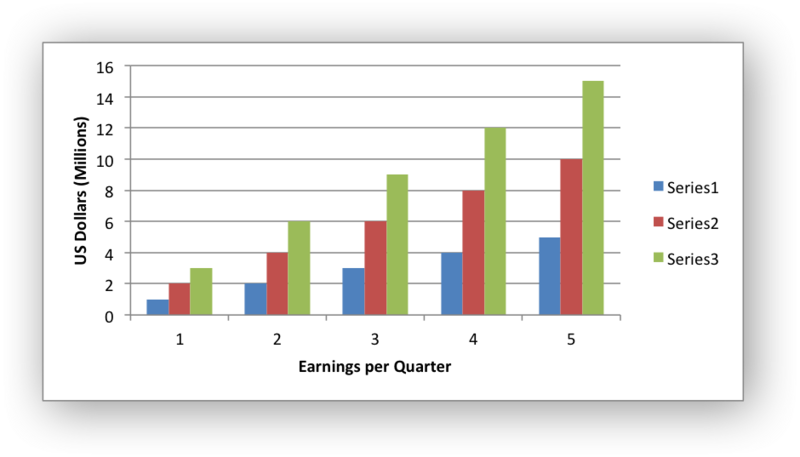 Set the X or Y error bars for a chart series. 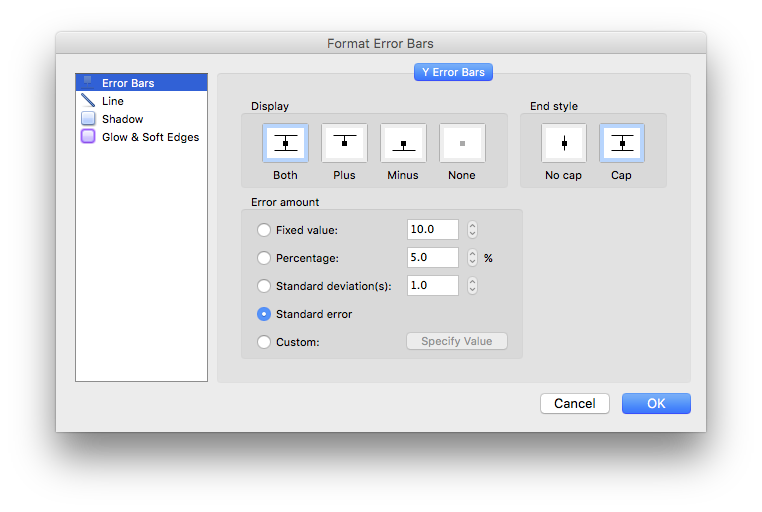 error_bars A pointer to the series X or Y error bars. type The type of error bar: lxw_chart_error_bar_type. 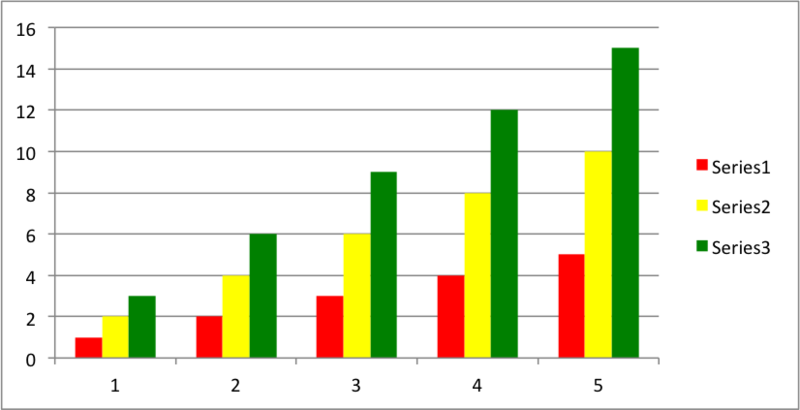 Error bars can be added to a chart series to indicate error bounds in the data. The error bars can be vertical y_error_bars (the most common type) or horizontal x_error_bars (for Bar and Scatter charts only). Custom error bars are not currently supported. For the Standard error type the value is ignored. 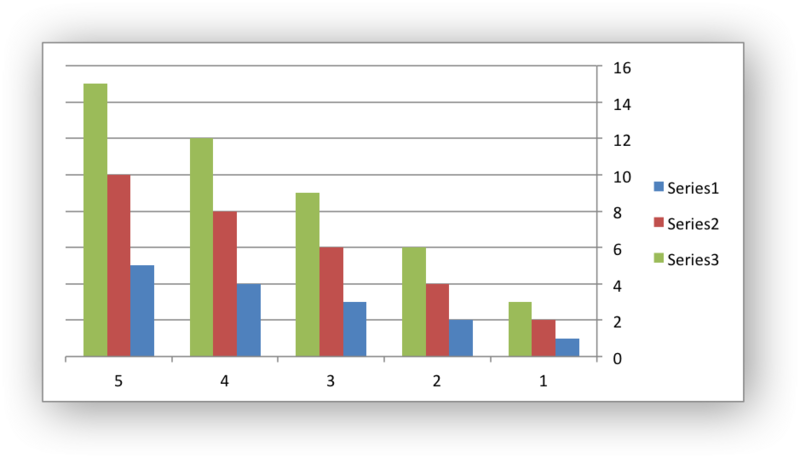 For more information see Working with Chart Error Bars. direction The bar direction: lxw_chart_error_bar_direction. LXW_CHART_ERROR_BAR_DIR_BOTH: Error bar extends in both directions. The default. LXW_CHART_ERROR_BAR_DIR_PLUS: Error bar extends in positive direction. LXW_CHART_ERROR_BAR_DIR_MINUS: Error bar extends in negative direction. endcap The error bar end cap type: lxw_chart_error_bar_cap . LXW_CHART_ERROR_BAR_END_CAP: Flat end cap. The default. For more information see Chart formatting: Line and Working with Chart Error Bars. 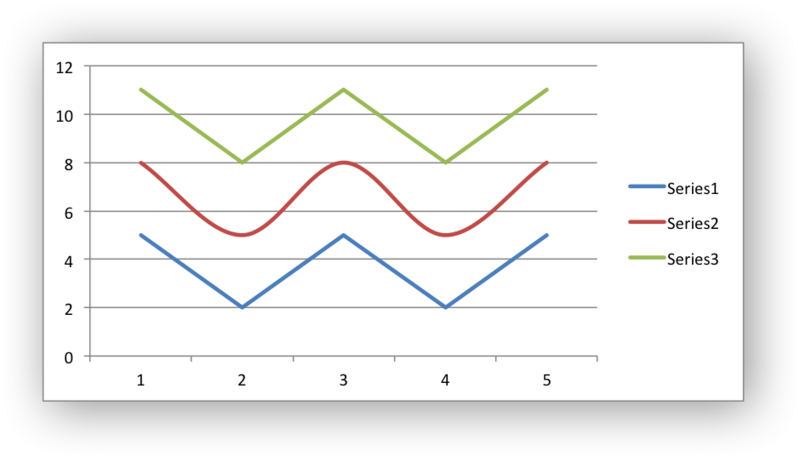 axis_type The axis type (X or Y): lxw_chart_axis_type. // Use the axis pointer in other functions. Pointer to the chart axis, or NULL if not found. axis A pointer to a chart lxw_chart_axis object. name The name caption of the axis. The chart_axis_set_name() function sets the name (also known as title or caption) for an axis. It can be used for the X or Y axes. The name is displayed below an X axis and to the side of a Y axis. See also the chart_axis_set_name_range() function to see how to set the name formula programmatically. Axis types: This function is applicable to to all axes types. See Chart Value and Category Axes. chart_area.c, chart_bar.c, chart_column.c, chart_data_table.c, chart_fonts.c, chart_line.c, chart_pattern.c, chart_radar.c, chart_scatter.c, and chartsheet.c. For more information see Chart formatting: Fonts. // Hide the Y axis. value The category or value that the axis crosses at. If crossing is omitted (the default) the crossing will be set automatically by Excel based on the chart data. Position a category axis horizontally on, or between, the axis tick marks. Axis types: This function is applicable to category axes only. See Chart Value and Category Axes. Position the axis labels for the chart. The labels are the numbers, or strings or dates, on the axis that indicate the categories or values of the axis. LXW_CHART_AXIS_LABEL_POSITION_HIGH - Also right for vertical axes. 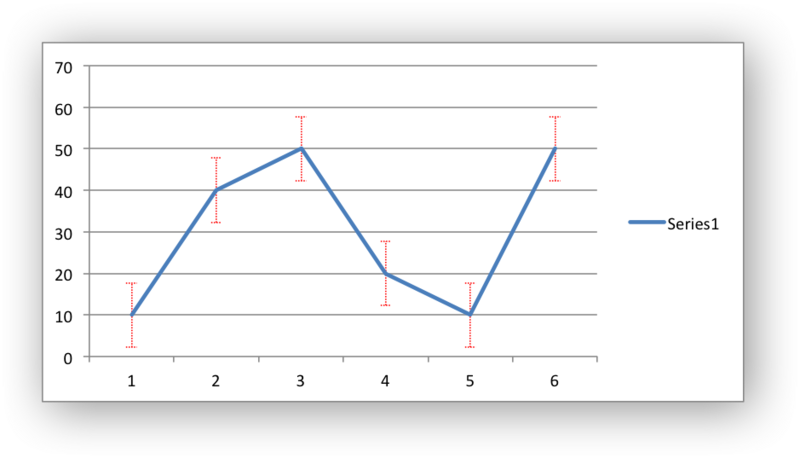 LXW_CHART_AXIS_LABEL_POSITION_LOW - Also left for vertical axes. 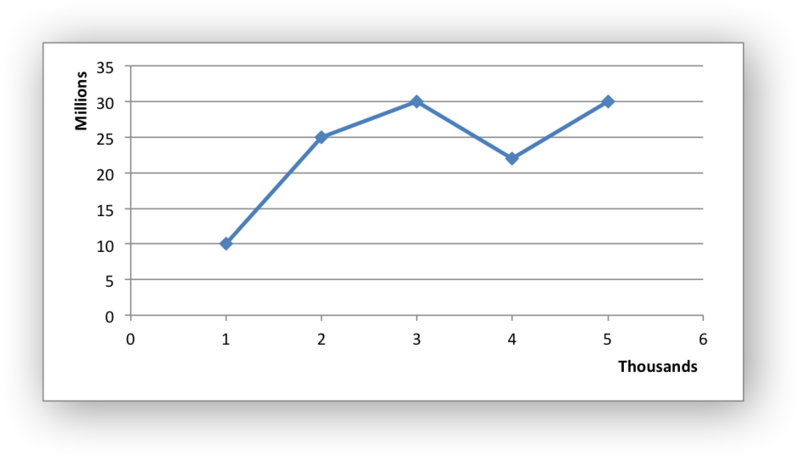 The LXW_CHART_AXIS_LABEL_POSITION_NONE turns off the axis labels. This is slightly different from chart_axis_off() which also turns off the labels but also turns off tick marks. Position the category axis labels for the chart. The labels are the numbers, or strings or dates, on the axis that indicate the categories of the axis. LXW_CHART_AXIS_LABEL_ALIGN_CENTER - Align label center (default). LXW_CHART_AXIS_LABEL_ALIGN_LEFT - Align label left. LXW_CHART_AXIS_LABEL_ALIGN_RIGHT - Align label right. 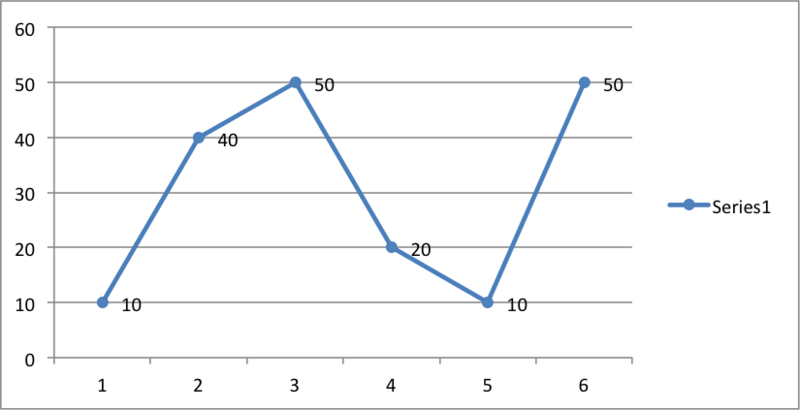 min Minimum value for chart axis. Value axes only. Set the minimum value for the axis range. Axis types: This function is applicable to value and date axes only. See Chart Value and Category Axes. max Maximum value for chart axis. Value axes only. Set the maximum value for the axis range. log_base The log base for value axis. Value axes only. The allowable range of values for the log base in Excel is between 2 and 1000. Axis types: This function is applicable to value axes only. See Chart Value and Category Axes. type The tick mark type, defined by lxw_chart_tick_mark. // Hide the default gridlines so the tick marks are visible. See the image and example above. unit The interval between the categories. 1, 3, 5, 7, etc. Axis types: This function is applicable to category and date axes only. See Chart Value and Category Axes. unit The interval between the category ticks. unit The increment of the major units. Set the increment of the major units in the axis range. // Turn on the minor gridline (it is off by default). unit The increment of the minor units. Set the increment of the minor units in the axis range. units The display units: lxw_chart_axis_display_unit. Turn on or off the display units for the axis. This option is set on automatically by chart_axis_set_display_units(). Turn on or off the major gridlines for an X or Y axis. 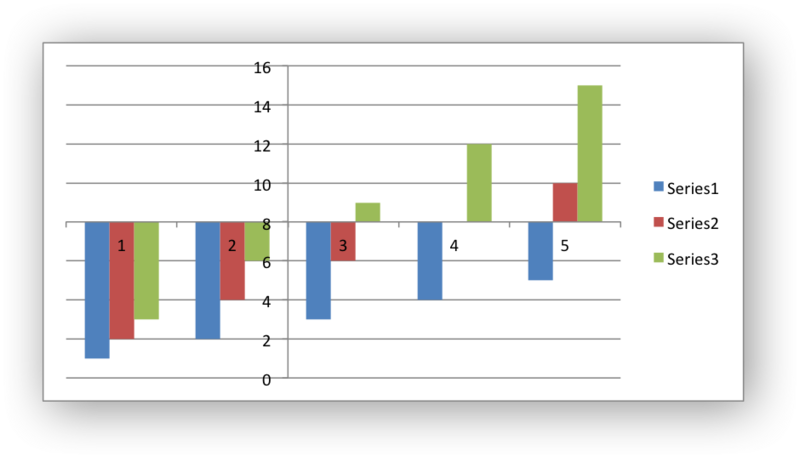 In most Excel charts the Y axis major gridlines are on by default and the X axis major gridlines are off by default. // Reverse the normal visible/hidden gridlines for a column chart. Turn on or off the minor gridlines for an X or Y axis. In most Excel charts the X and Y axis minor gridlines are off by default. Format the line properties of the minor gridlines of a chart, see the example above. name The chart title name. The chart_title_set_name() function sets the name (title) for the chart. The name is displayed above the chart. See also the chart_title_set_name_range() function to see how to set the name formula programmatically. The Excel default is to have no chart title. chart_area.c, chart_bar.c, chart_column.c, chart_data_table.c, chart_data_tools.c, chart_doughnut.c, chart_fonts.c, chart_line.c, chart_pattern.c, chart_pie.c, chart_radar.c, chart_scatter.c, chart_styles.c, and chartsheet.c. position The lxw_chart_legend_position value for the legend. delete_series An array of zero-indexed values to delete from series. The chart_legend_delete_series() function allows you to remove/hide one or more series in a chart legend (the series will still display on the chart). This function takes an array of one or more zero indexed series numbers. The array should be terminated with -1. See the example and image above. style_id An index representing the chart style, 1 - 48. The style index number is counted from 1 on the top left in the Excel dialog. The default style is 2. In Excel 2013 the Styles section of the "Design" tab in Excel shows what were referred to as "Layouts" in previous versions of Excel. These layouts are not defined in the file format. They are a collection of modifications to the base chart type. They can not be defined by the chart_set_style()` function. chart_area.c, chart_bar.c, chart_clustered.c, chart_column.c, chart_doughnut.c, chart_line.c, chart_pie.c, chart_radar.c, chart_scatter.c, chart_styles.c, and chartsheet.c. // Turn on the data table with default options. 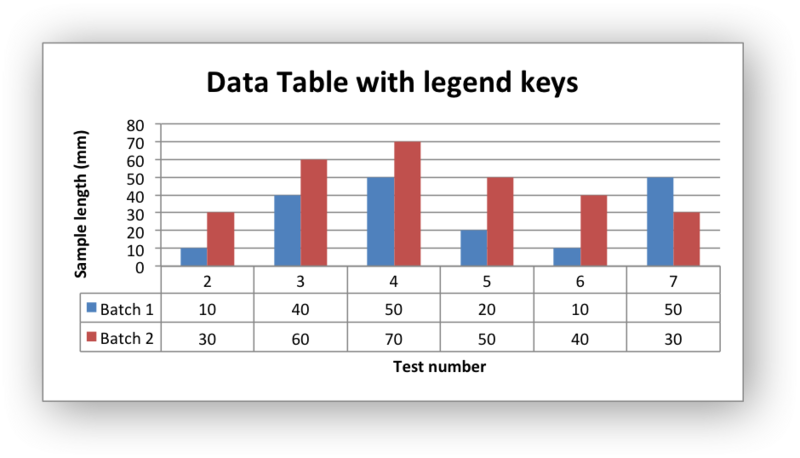 The data table can only be shown with Bar, Column, Line and Area charts. horizontal Turn on/off the horizontal grid lines in the table. vertical Turn on/off the vertical grid lines in the table. outline Turn on/off the outline lines in the table. legend_keys Turn on/off the legend keys in the table. // Turn on all grid lines and the grid legend. // Turn off the legend since it is show in the table. Up-Down bars are only available in Line charts. By default Up-Down bars are black and white like in the above example. 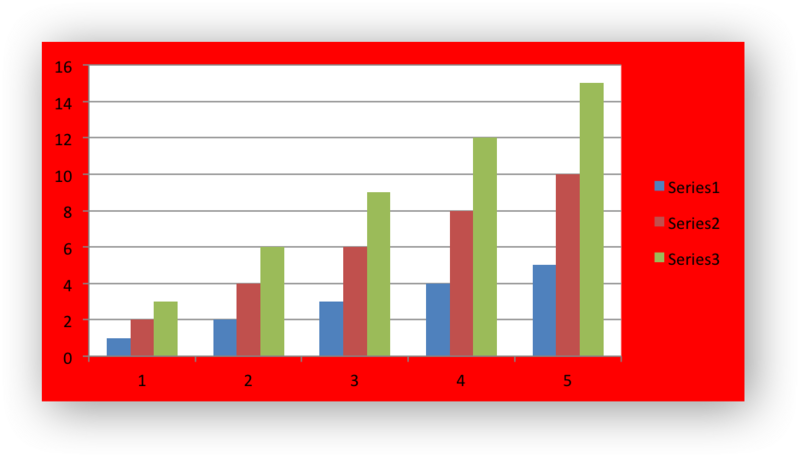 To format the border or fill of the bars see the chart_set_up_down_bars_format() function below. up_bar_line A lxw_chart_line struct for the up-bar border. up_bar_fill A lxw_chart_fill struct for the up-bar fill. down_bar_line A lxw_chart_line struct for the down-bar border. down_bar_fill A lxw_chart_fill struct for the down-bar fill. 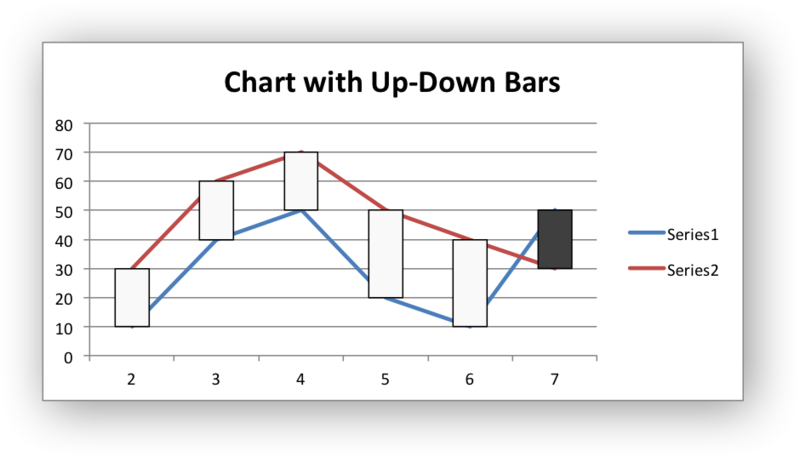 Up-Down bars are only available in Line charts. For more format information see Chart formatting: Line and Chart formatting: Fill. 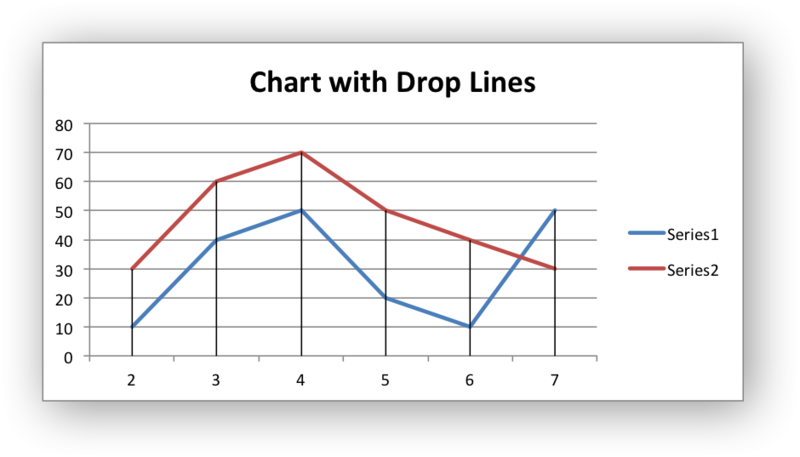 Drop Lines are only available in Line and Area charts. For more format information see Chart formatting: Line. 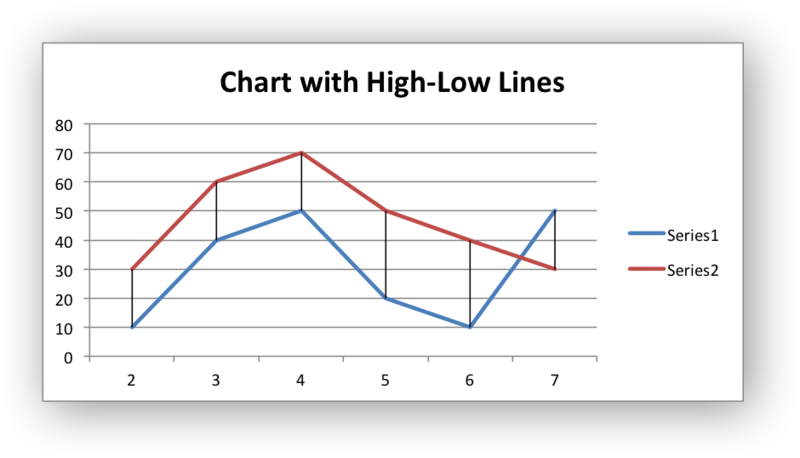 High-Low Lines are only available in Line charts. For more format information see Chart formatting: Line. overlap The overlap between the series. -100 to 100. 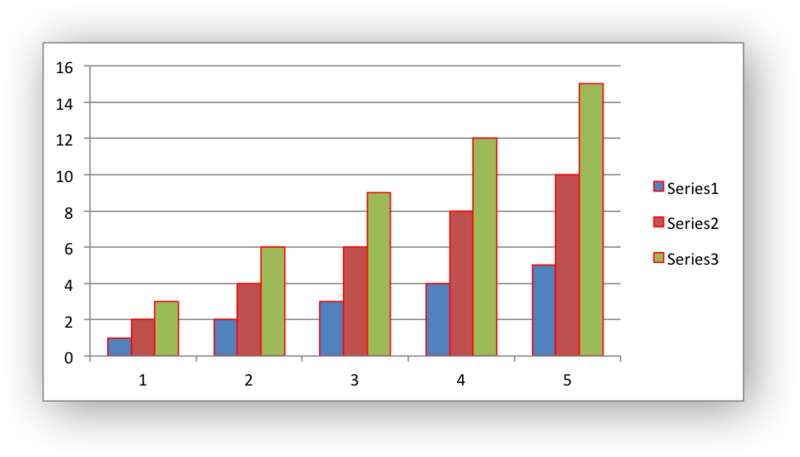 The chart_set_series_overlap() function sets the overlap between series in Bar and Column charts. The overlap value must be in the range 0 <= overlap <= 500. The default value is 0. This option is only available for Bar/Column charts. gap The gap between the series. 0 to 500. 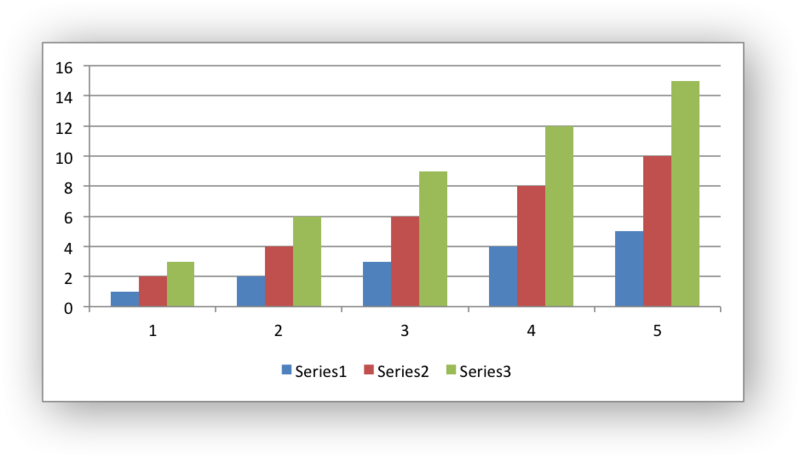 The chart_set_series_gap() function sets the gap between series in Bar and Column charts. The gap value must be in the range 0 <= gap <= 500. The default value is 150.
option The display option. 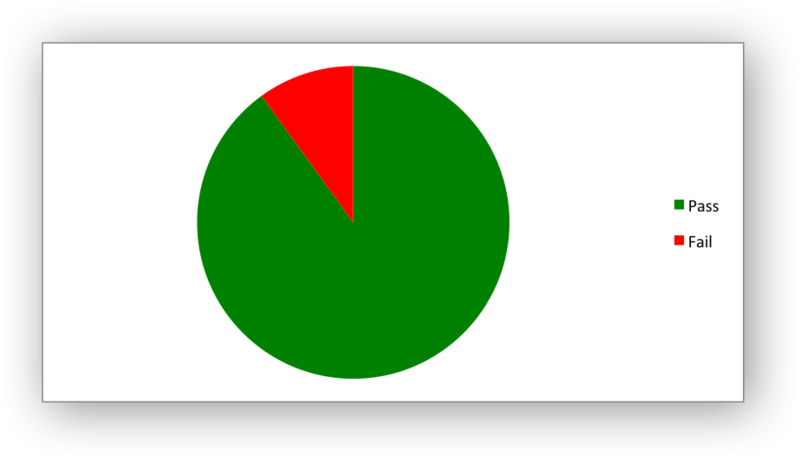 A lxw_chart_blank option. 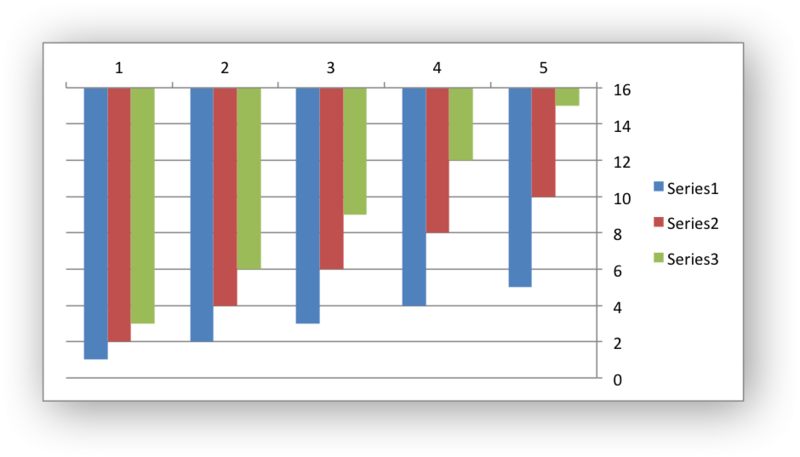 LXW_CHART_BLANKS_AS_GAP: Show empty chart cells as gaps in the data. This is the default option for Excel charts. LXW_CHART_BLANKS_AS_ZERO: Show empty chart cells as zeros. LXW_CHART_BLANKS_AS_CONNECTED: Show empty chart cells as connected. Only for charts with lines. rotation The angle of rotation. The angle of rotation must be in the range 0 <= rotation <= 360. This option is only available for Pie/Doughnut charts. size The hole size as a percentage. The hole size must be in the range 10 <= size <= 90. This option is only available for Doughnut charts. The dash types are shown in the order that they appear in the Excel dialog. See Chart formatting: Line. The lxw_chart_point used to set the line, fill and pattern of one or more points in a chart data series. See Working with Chart Points. 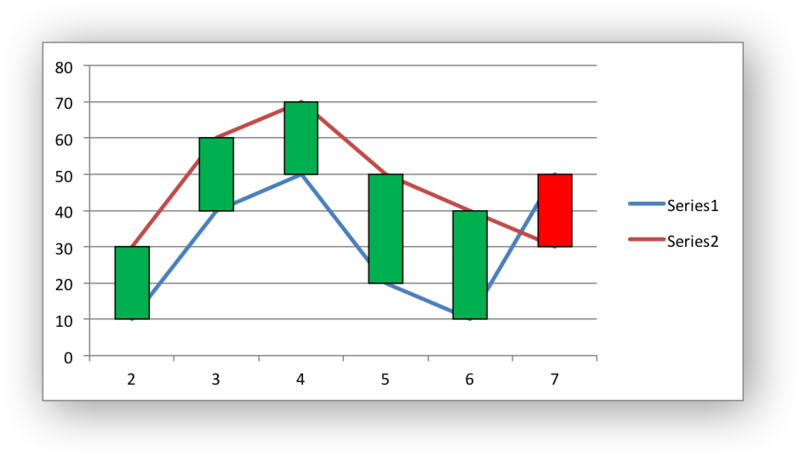 The lxw_chart_series is created using the chart_add_series function. It is used in functions that modify a chart series but the members of the struct aren't modified directly. The lxw_chart_axis struct is used in functions that modify a chart axis but the members of the struct aren't modified directly. The members of the lxw_chart struct aren't modified directly. Instead the chart properties are set by calling the functions shown in chart.h. Area chart - percentage stacked. 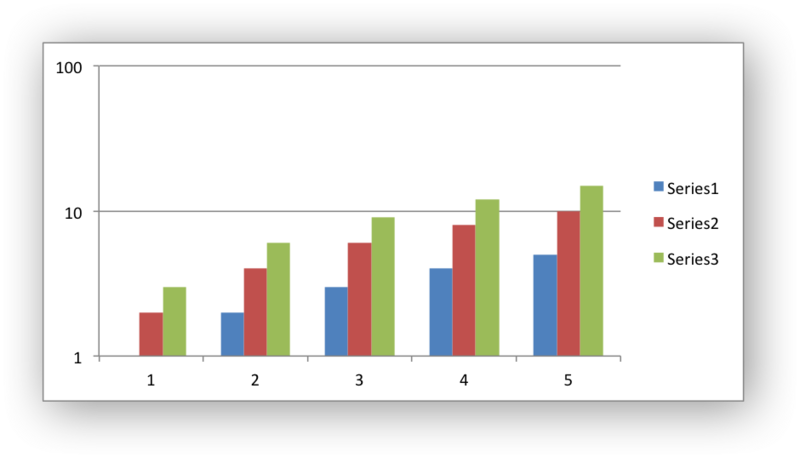 Bar chart - percentage stacked. 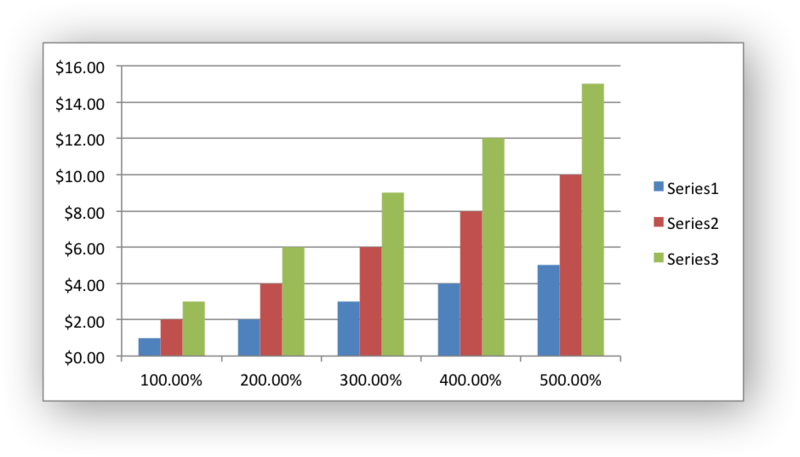 Column chart - percentage stacked. Scatter chart - straight with markers. Scatter chart - smooth with markers. Radar chart - with markers. Chart legend positioned at right side. Chart legend positioned at left side. Chart legend positioned at top. Chart legend positioned at bottom. Chart legend positioned at top right. Chart legend overlaid at right side. Chart legend overlaid at left side. Chart legend overlaid at top right. Automatic, series default, marker type. Series data label position: default position. Series data label position: center. Series data label position: right. Series data label position: left. Series data label position: above. Series data label position: below. Series data label position: inside base. Series data label position: inside end. Series data label position: outside end. Series data label position: best fit. Series data label separator: comma (the default). Series data label separator: semicolon. Series data label separator: period. Series data label separator: newline. Series data label separator: space. Position category axis on tick marks. Position category axis between tick marks. Position the axis labels next to the axis. The default. 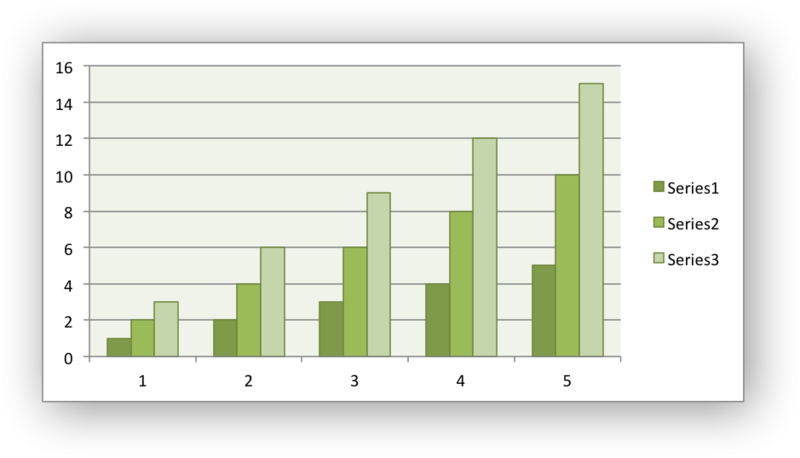 Position the axis labels at the top of the chart, for horizontal axes, or to the right for vertical axes. 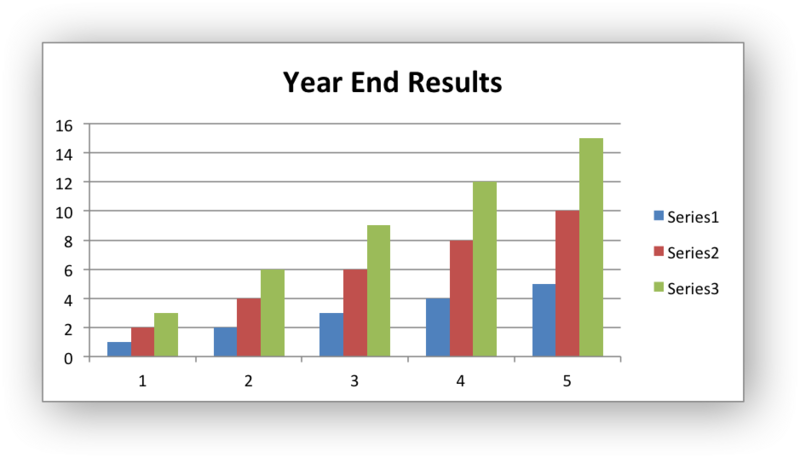 Position the axis labels at the bottom of the chart, for horizontal axes, or to the left for vertical axes. Turn off the the axis labels. Chart axis label alignment: center. Chart axis label alignment: left. Chart axis label alignment: right. Axis display units: None. The default. Axis display units: Ten thousands. Axis display units: Hundred thousands. Axis display units: Ten millions. Axis display units: Hundred millions. Default tick mark for the chart axis. Usually outside. No tick mark for the axis. Tick mark inside the axis only. Tick mark outside the axis only. Tick mark inside and outside the axis. Show empty chart cells as gaps in the data. The default. Show empty chart cells as zeros. Show empty chart cells as connected. Only for charts with lines. Error bar type: Standard error. Error bar type: Fixed value. Error bar type: Standard deviation(s). Error bar extends in both directions. The default. Error bar extends in positive direction. Error bar extends in negative direction. Flat end cap. The default. Axis positions for category axes. 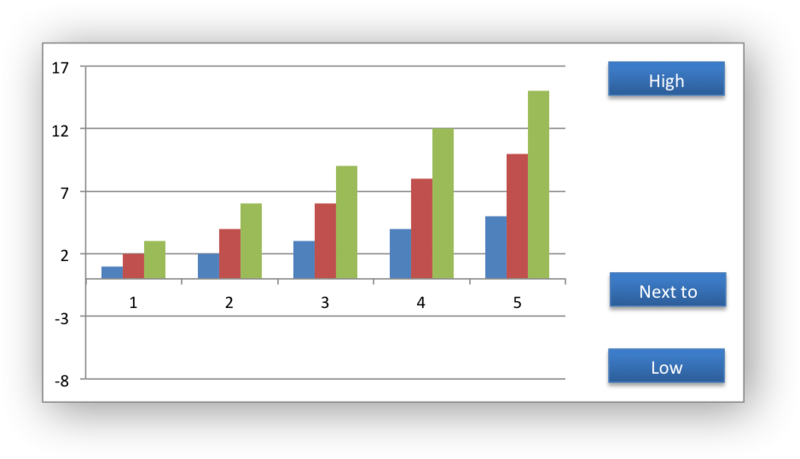 Display units for chart value axis. Tick mark types for an axis. Define how blank values are displayed in a chart. Type/amount of data series error bar. Direction for a data series error bar. End cap styles for a data series error bar.